Dramatic swings in weather patterns over the past few years in California are stark reminders of climate variability and regional vulnerability. Alternating years of drought and intense rain events make long-term planning for storing and distributing water a challenging task. Current weather forecasting capabilities provide details for short time horizons. 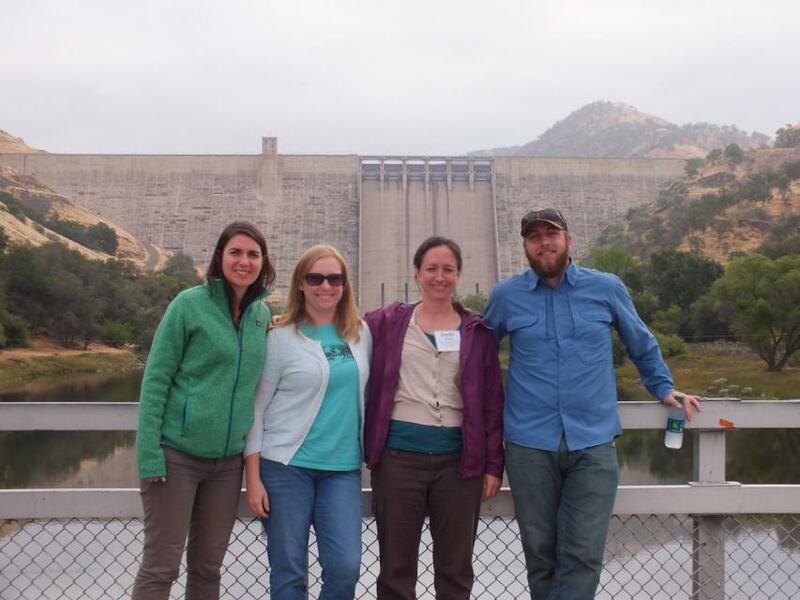 Attend the Paleo Drought Workshop in San Pedro on April 19 to learn more about research efforts to improve sub-seasonal to seasonal precipitation forecasting, known as S2S, and how those models could provide more useful weather scenarios for resource managers. [Idaho Rep. Mike] Simpson, who chairs an Appropriations subcommittee on energy and water development, called the wildfire fund one of the most significant pieces of legislation he has worked on in Congress. The concept is simple, he said: Treat catastrophic wildfires like other natural disasters. Arizona will be hardest hit if 17 years of drought keep drying up a reservoir serving much of the Southwest, but the state’s lawmakers and governor don’t agree on how to keep water in the lake or who should be in charge. Lake Mead, a man-made reservoir fed by the Colorado River, is an essential water supply for several western states that will take a hit if lake levels dip much lower. California’s 2012-2016 drought revealed vulnerabilities for water users throughout the state, and the long-term record suggests more challenges may lie ahead. An April 19 workshop in San Pedro will highlight new information about drought durations in Southern California watersheds dating back centuries. Just how bad was California’s last drought? For most of Southern California, it was either the worst or second worst since the century Columbus landed in the New World, the Ottoman empire was started and Joan of Arc was burned at the stake. Despite the recent storm that pummeled the Sierra with snow and scattered rain in the valleys and along the coast, California remains unseasonably dry with 47 percent of the state experiencing at least “moderate drought” conditions, according to the federal government’s Drought Monitor. Anglers hoping to catch Chinook salmon this year along the San Francisco Bay and in the Central Valley’s rivers are likely to see curtailed fishing seasons, due to poor fish numbers linked to California’s historic five-year drought. Dry conditions and the prospect of limited precipitation later this year have forced officials on the nation’s largest American Indian reservation to approve an emergency drought declaration. After one year of torrential respite, drought may have returned to California, and with it, a renewal of the state’s perpetual conflict over water management. State and federal water systems have told farmers not to expect more than a fifth of their paper allocations, the state Water Resources Control Board is weighing a new regime of mandatory conservation, and supporters of more reservoirs are complaining about the glacial pace of spending $2.7 billion set aside in a water bond for more storage. Commentary: Californians voted to spend billions on more water storage. But state government keeps sitting on the cash. Government at all levels moves at a glacial pace, especially when it’s trying to deal with the complex and contentious issue of water. Four years ago in the midst of a scary, five-year drought — one of the state’s driest periods in recorded history — voters eagerly approved a $7.5-billion water bond proposal, Proposition 1. The vote was a lopsided 67% to 33%. California’s wildfire risk is rising. Congress missed a chance to help. A bipartisan group of members of Congress from California and other Western states had been pushing a policy fix that would create a new funding stream to fight fires, leaving more money for the U.S. Park Service to manage forests and prevent fires. Under current law, firefighting is not funded out of the same natural disaster account used to respond to hurricanes or tornadoes. A partnership of state and local agencies working to help homeowners affected by California’s multi-year drought finished connecting 755 homes to a safe, reliable, permanent water supply. All households participating in the East Porterville Water Supply Project have now been connected to the City of Porterville’s municipal water system. California’s brief escape from severe drought ended Thursday after scientists declared more than 40 percent of the state in moderate drought and water officials confirmed lower-than-normal snowpack in the Sierra Nevada. Despite the fierce rains and deadly mudslides that have struck California, water officials are concerned about the possibility of a renewed drought. But they caution that is too early to tell. Friday’s Top of the Scroll: Is California heading back into a drought? Californians are beginning to wonder: Is the state heading back into a drought? While experts say it’s still too early in the winter rainy season to say for sure, the evidence is accumulating, and the rain is definitely not. The Sierra Nevada mountains grew nearly an inch taller during the recent drought and shrank by half an inch when water and snow returned to the area, according to new research from NASA’s Jet Propulsion Laboratory in La Cañada Flintridge. Researchers used 1,300 GPS stations throughout the mountain range to closely observe how its elevation changed during the drought. States, federal and Mexican officials hailed a binational agreement this fall that they said could lead to a radical shift in how the region prepares for and responds to drought. But three months later, they appear no closer to a drought contingency plan, as negotiations have pitted states and water districts against one another, as the U.S. tries to hammer out details of the plan. California’s forests are seeing a continued die-off of trees even a year after last year’s heavy rains ended the state’s crippling drought. 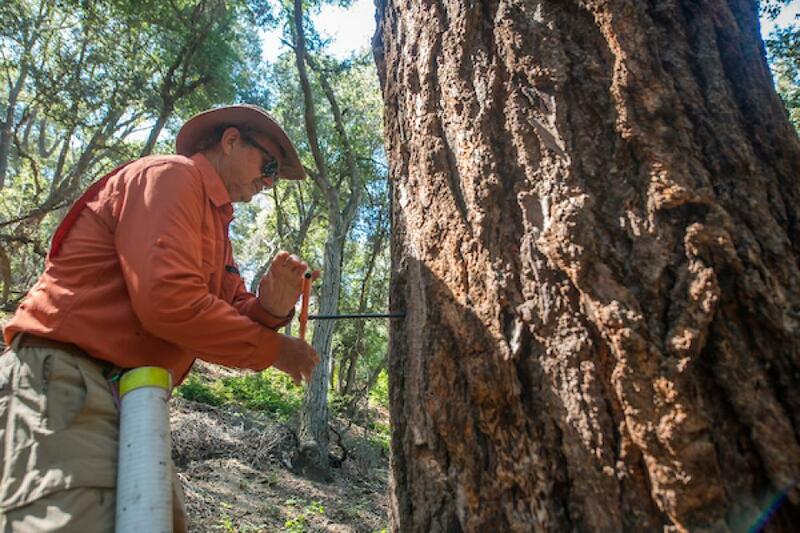 The U.S. Forest Service announced Monday that 27 million trees died over the past 13 months after five dry years left them severely dehydrated and vulnerable to bark beetle attack. Winter is off to a dry start across the West, raising the specter of ongoing drought in many locations. The culprit could be La Niña – a periodic cooling of Pacific Ocean waters near the equator that often brings drought. And not just any La Niña, but a “double whammy” effect, which latest research concludes may cause even worse water shortages. Severe wildfire seasons like the one that has devastated California this fall may occur more frequently because of climate change, scientists say. 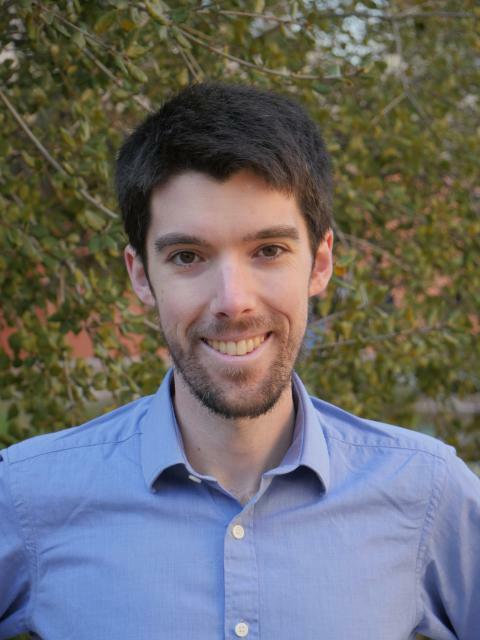 … The reason is an expected impact of climate change in California: increasing year-to-year variability in temperature and precipitation that will create greater contrast between drought years and wet years. Hot, dry Santa Ana winds will likely whip up the unseasonably fierce wildfires ravaging Southern California on Thursday, forecasters said. The gales have come at the worst time, at the end of a long dry spell. Even before the dramatic Southern California wildfires began their harrowing path this week, California was already experiencing its deadliest and most destructive fire season ever. And it’s only getting worse. … For Californians who welcomed one of the wettest, drought-busting winters early in 2017, the fury of the fires is startling. It could be a record year for salmon on the Mokelumne River, but not without some extraordinary human intervention. More than 15,200 adult salmon had returned to the fish hatchery below Camanche Dam as of last week. … This year’s strong return is good news in part because it shows how changes in hatchery operations can help fish survive the aftermath of a devastating drought. It appears this is an average year for the number of fall-fun Chinook Salmon returning to spawn in the American River. The numbers were expected to be much lower because of high water temperatures and predators when the fish were juveniles heading to the ocean during the drought. Last spring, the outlook for California’s 2017 Chinook salmon fishing season was dire. Years of drought had taken a toll on the rivers where salmon spawn, reducing them to lukewarm trickles. As a result, the number of adult fish was seriously depleted, reported scientists with the Pacific Fishery Management Council. California Secretary for Natural Resources John Laird, who lives in Santa Cruz, said the state will be in trouble if another drought strikes as federal support remains uncertain. Key U.S. departmental vacancies could hamper negotiations for emergency relief, Laird said after the Democratic Women’s Club of Santa Cruz County meeting Saturday. California could one day be uninhabitable. Fire. Heat. Floods. … Decamping for the 23rd session of the Conference of the Parties to the U.N. Convention on Climate Change, California academics and political leaders were mulling how to better deploy the distressing projections to give unwary citizens a better understanding of what’s at stake and compel them to see the wisdom of embracing sustainability. The Trump administration released a sweeping report Friday that pegged man-made climate change to droughts and wildfires in California and the West, but for reasons you may not expect. Now, as a series of deadly fires rages in Wine Country, serious questions are once again being asked about the safety of overhead electrical wires in a state prone to drought and fierce winds. On Wednesday, Cal Fire said that investigators have started looking into whether toppled power wires and exploding transformers Sunday night may have ignited the simultaneous string of blazes. A lot of people and jobs in the Southwest rely on water from the Colorado River. According to a University of Arizona study, the river system contributes more than $840 billion to the Gross State Products of Arizona and California alone. But the region’s in a long-running drought. The number of salmon returning to spawn at Coleman National Fish Hatchery in Anderson could reach historic lows this year — a legacy of the five-year drought that ended last year. At this time of year dozens of salmon would normally be teeming in the waters of Battle Creek near the hatchery. SOUTHWEST (California, Nevada, Utah, Colorado, New Mexico and Arizona) -The average annual temperature has already gone up 1.56 degrees since 1901-1960 and is projected to rise another 4.8 degrees by mid-century and 8.65 degrees by the end of the century if carbon pollution continues unabated. Several recently amended bills on long-term conservation and drought planning are set for hearing July 11 in the Senate Natural Resources and Water Committee. The seemingly contradictory weather conditions — a heat wave and mountains still piled high with snow — are one final legacy of a historic winter that brought the most rain ever recorded in Northern California. Months of back-to-back storms finally pulled California out of its five-year drought. But they left behind up to 200 inches of snow. Climate change appears to be fueling more wildfires as forest service officials are increasingly concerned they don’t have the funds to effectively handle another devastating season. People came here for the forest, to live among 200-foot-tall pine trees that shaded their mountain cabins and scented the air. But in the span of two short years, tens of thousands of those trees are gone, ravaged by bark beetles until their green needles turned orange. Republican Assemblyman Jim Patterson of Fresno recently claimed Gov. Jerry Brown has slashed nearly all the money in the state’s budget to help local governments remove dead and dying trees in California’s forests. More than 100 million trees have died in the forests due to drought and bark beetle infestations since 2010. Already faced with unprecedented low numbers of returning salmon and drastically reduced fishing allowances, California’s fishing fleets and communities are not expected to find any relief in the next few years, according to testimony by a host of experts and regulators at the State Capitol on Wednesday. Researchers have issued a dire warning for California’s native trout and salmon: Three-quarters of them will be extinct in the next 100 years unless urgent action is taken. This bleak assessment came Tuesday from biologists at the UC Davis Center for Watershed Sciences and from California Trout, a nonprofit advocacy group. From the Central Coast to the Sierra Nevada foothills, spring winds have dried timber and brush after a historically wet winter that isn’t expected to relieve the 2017 wildfire threat, a Cal Fire San Mateo-Santa Cruz Unit official said. Gov. Jerry Brown on Monday proclaimed Wildfire Awareness Week, citing a rise in dangerous wildfires in recent years. The drought is over, but that doesn’t mean the end of calamity for Northern California – the abundance of rain and snow could produce more wildfires and drownings, officials say. A bill intended to prevent dying trees damaged by drought from falling onto utility lines on publicly owned federal land, sparking wildfires and electricity blackouts, passed out of the House Natural Resources Committee on Thursday. The Great California Drought is over, Gov. Jerry Brown declared earlier this month, but it’s too early to parade in our rain, scientists say. California’s historic five-year drought is officially over, washed away with the relentlessly drenching rains, floods and snowstorms of this winter. But just as tougher building codes and better emergency planning follow major earthquakes, the brutally dry years from 2012 to 2016 are already leaving a legacy, experts say, changing the way Californians use water for generations to come. California’s commercial salmon industry is being slashed this year because of lingering environmental impacts from the drought. California’s climate has long been dominated by cycles of intense dry conditions followed by heavy rain and snow. But never before in recorded history has the state seen such an extreme drought-to-deluge swing. For the second year in a row, California officials are likely to shorten the chinook salmon season, making the local specialty costly and hard to find throughout the summer and possibly beyond. … The low numbers are due to lingering effects of the drought, because impacts on the population are felt about three or four years behind years with little rain. Gov. Jerry Brown declared the end of California’s drought emergency on Friday, stressing that water conservation must be a permanent part of life as the state adapts to climate change and prepares for the next drought. tartlingly green hills, surging rivers and the snow-wrapped Sierra Nevada had already signaled what Gov. Jerry Brown made official Friday: The long California drought is over. Brown issued an executive order that lifts the drought emergency in all but a handful of San Joaquin Valley counties where some communities are still coping with dried-up wells. A deluge of wet weather this winter and unprecedented water conservation prompted Gov. Jerry Brown to end California’s drought emergency on Friday. California looks to be resuscitated this spring, with green stretching the length of the state and the desert erupting in a colorful mosaic fueled by a super bloom of flowers. The state’s wet winter has erased a surface drought more than five years in the making. Now, many reservoirs have been topped off, rivers are running and the snowpack – so meager just two years ago as to be almost unmeasurable – is piled 50ft (15m) high in some places. Will California farms find enough workers amid Trump’s immigration crackdown? Farmers employ tens of thousands of people in the San Joaquin Valley and run a $35 billion industry producing grapes, milk, oranges, almonds and dozens of other commodities sold in stores around the globe. Many of them supported Donald Trump for president, calculating that his promise to deliver more water to drought-starved valley farms would help them despite his hard-line stance on immigration. Last summer it was a jarring symbol of California’s historic five-year drought. San Luis Reservoir — the vast lake along Highway 152 between Gilroy and Los Banos, the state’s fifth-largest reservoir and a key link in the water supply for millions of people and thousands of acres of Central Valley farmland — was just 10 percent full. California’s water regulators are looking to strengthen their focus on climate change, adopting policies aimed at helping the state prepare for more severe floods, more extreme droughts and shrinking snowpack. One year ago, just 5 percent of California was classified as free from drought. That number has been turned nearly upside down, and as of Thursday, 91 percent of the state is no longer in drought condition, according to federal scientists. California salmon anglers are looking at another bleak fishing season, despite the remarkably wet winter – a lingering impact from the state’s five-year drought. Heading into February, things were looking grim here in the rugged hills north of Santa Barbara. Skiing on July 4. More rain than Seattle. Yes, California’s drought is receding. How much precipitation has fallen on Northern California this winter? So much that Squaw Valley expects to be open for skiing July 4. The historic drought that plagued California for five years is finally over in nearly every part of the state, federal scientists reported Thursday. Going, going, but not gone yet. About 47 percent of California still faces a drought, and the conditions are severe in 11 percent of the state, according to the most recent weekly report from the U.S. Drought Monitor. The U.S. Drought Monitor shows that less than 2 percent of California is still experiencing severe drought impacts, but that small area is concentrated in southern Santa Barbara County and parts of neighboring Ventura and Los Angeles counties. As sections of California experience flooding due to heavy rains, a group of Northern California lawmakers want Gov. 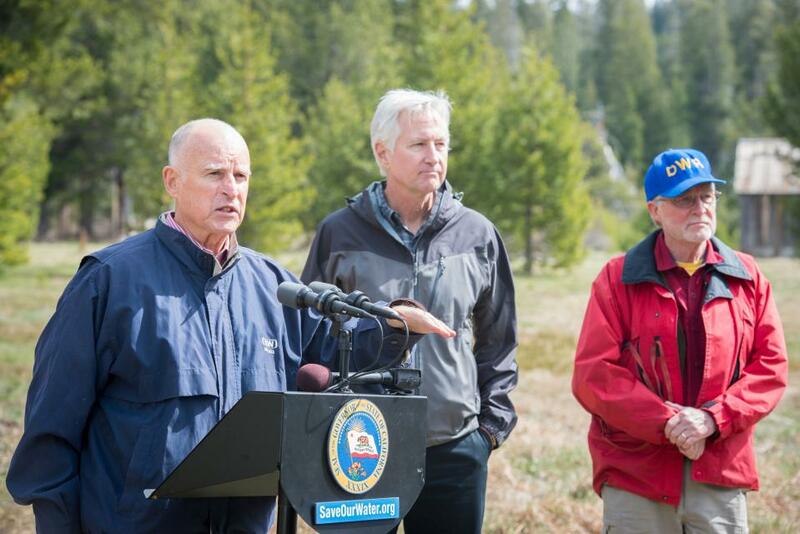 Jerry Brown to end the emergency drought declaration. Lake Mead, one of the most critical water sources in the country, is at dangerously low levels and federal employees are struggling to manage the depleted reserves. The ponderosa pine had taken root decades before the Revolutionary War, making a stately stand on this western Sierra Nevada slope for some 300 years, Nate Stephenson figures. Then came the beetle blitzkrieg. The San Diego County Water Authority Board of Directors Thursday declared an end to drought conditions in the region, citing heavy local rainfall and snow in western mountain areas. For the first time in three years, not a single area of California is considered in “exceptional drought,” the most severe category, according to a U.S. government estimate released Thursday. Hammered with record rainstorms and snow blizzards, nearly half of California is no longer in a drought, and the rest saw dramatic improvement over the past week, federal scientists reported Thursday. Governor Brown has released a proposed budget that reaffirms the state’s commitment to boosting drought resiliency and battling climate change. … Although state money represent only a fraction of California’s total water sector spending (13%—the rest is mostly locally funded), it is an important piece of the funding pie. San Luis Reservoir west of Los Banos is on its way to filling for the first time since 2011 as rain and snow bring the state additional relief from a punishing drought. Statewide, a series of storms over the past two weeks have allowed water managers to fill major reservoirs to above-normal levels for this time of year. The worst area of drought in California has significantly narrowed to a small region northwest of Los Angeles that has stubbornly failed to benefit from Pacific storms that have drenched much of the state since the fall and were lining up again Wednesday. Deluged with a series of relentless storms this winter, more than 40 percent of California — including the Bay Area — is no longer in a drought for the first time in four years, a stark turnaround after one of the worst natural disasters in state history, a new federal report said Thursday morning. Friday’s Top of the Scroll: Northern California has escaped the drought. Can it carry the state? After five years, is the drought over? The feds seem to think so, at least as far as Sacramento and most of Northern California are concerned. A week of powerful storms in Northern California has significantly eased the state’s water shortage, with a large swath of the state emerging from drought conditions, officials said Thursday. Rescue workers used boats and firetrucks to evacuate dozens of Northern California residents from their flooded homes Wednesday as a drought-busting series of storms began to move out of the region after days of heavy rain and snow that toppled trees and created havoc as far north as Portland, Oregon. Drenching winter rains combined with the punishing effects of six years of drought are causing trees to topple across California, in some cases with deadly results. Federal monitors announced Thursday that 42 percent of California has emerged from a five-year drought after some of the heaviest rain and snow in decades. As a result of the nearly weeklong deluge, water is flowing into California lakes and reservoirs, prompting dam operators to release supplies in advance of a storm expected next week. But it’s too early to say if the series of storms is a drought-buster. Is the great California drought finally quitting? If the storm systems keep coming, state and regional water managers say, 2017 could be the end of a dry spell that has, for more than five years, caused crops to wither, reservoirs to run dry and homeowners to rip out their lawns and plant cactus. A lull in a series of powerful winter storms gave Northern California a chance Monday to clean up from widespread flooding while also assessing how all that moisture is altering the state’s once-grim drought picture. California entered 2017 hoping a wet winter could end the state’s six-year drought. Be careful what you wish for. After many long years of waiting, California’s drought relief may finally be here. 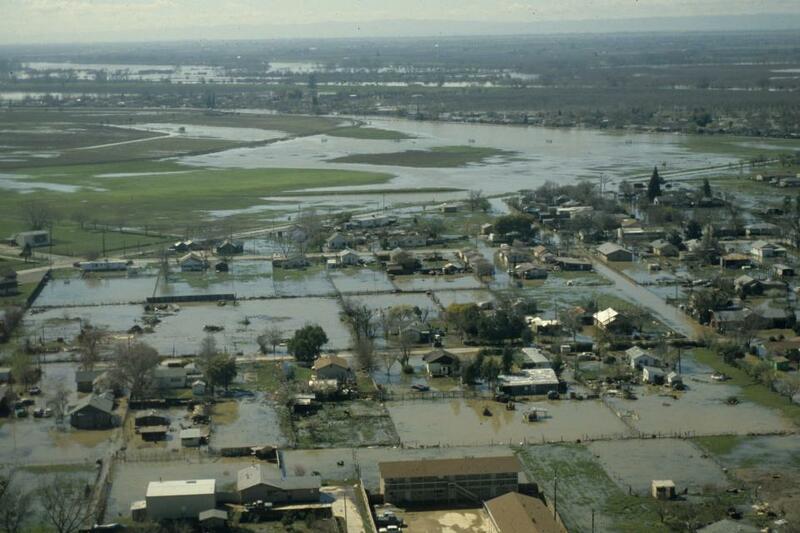 … Central California is on track to be the second wettest water year on record, and Southern California is expected to tie the wettest year, which was the year of ‘68-’69. With snow piling up in the Sierra, what will it take to end California’s drought? The resort town of Phillips high in the Sierra Nevada has long been a barometer of California’s drought. The first manual survey this year of California’s snowpack revealed Tuesday that it holds about half as much water as normal, casting a shadow on the state that’s hoping to dodge a sixth straight year of drought, officials said. Surveyors will plunge poles into the Sierra Nevada snowpack near Lake Tahoe on Tuesday, taking the season’s first measurement by hand of the snow’s water content as California flirts with a sixth year of drought. After a dry autumn, snowfall is rebounding to normal levels at Western ski areas and in the mountains that feed the vital Colorado River. The slow but steady improvement in California’s drought picture should accelerate in the new year with a series of storms that are expected to dump rain and snow in Northern California. The federal government will be pouring nearly a quarter-billion dollars into several dozen projects aimed at tackling the effects of drought in the West and restoring watersheds that provide drinking water to communities around the nation. The drought-plagued state was slammed with rainstorms Thursday night, with Northern California hit particularly hard. In Southern California, rains started moving in Thursday afternoon. 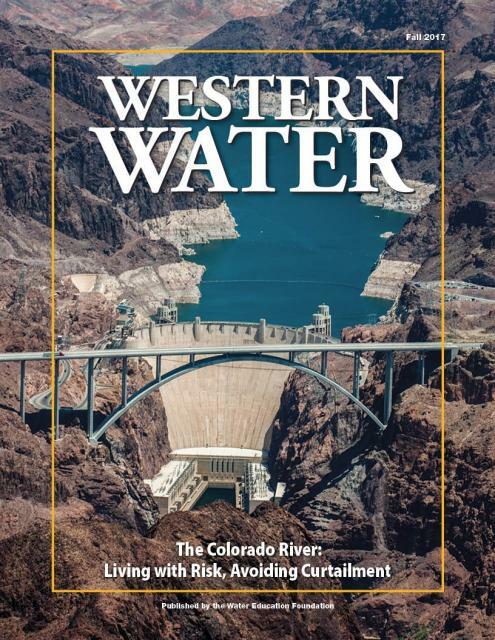 [Arizona] Department of Water Resources Director Tom Buschatzke is meeting with other Colorado River system users in Las Vegas at the annual Colorado River Water User Association Conference running through Dec. 16. … On Dec. 15, Secretary of the Interior Sally Jewell will unveil the program for management of the Colorado River between Lakes Powell and Mead. When California water officials assess the drought, the first place they look is the northern Sierra Nevada mountains. Rain and snowmelt from the area feed into a complex system of rivers, canals and reservoirs that send water across the state. Will wet start to rainy season put dent in California’s drought? State water officials are expected to have a better sense of the drought outlook after they conduct the first snowpack measure of the season, later this month or early next. The water policy measure overwhelmingly passed by the House of Representatives on Thursday to build long-term water infrastructure across the Golden State is headed for a showdown with outgoing Sen. Barbara Boxer, who plans to mount a filibuster in the Senate on Friday as one of her final acts in Congress. California enjoyed one of its wettest Octobers in recent history and its residents responded by reducing their water use, state officials announced Tuesday. Now, if past weather patterns are fulfilled this year, experts say, Northern California’s winter — and long-term relief from years of drought — could be just around the corner for the state’s most important watershed. CAL FIRE says the money will be spread across 34 counties to remove dead and dying trees and thin fuels that could make wildfires worse. One hundred and seventy percent of normal: It sounds so impressive. But Stockton’s wet fall — mirrored across much of Northern California — doesn’t necessarily portend a wet winter. In a series of proposals released Wednesday, state officials said they might require urban water districts seeking to avoid state conservation mandates to prove they have a five-year water supply on hand. In a preliminary outlook, the state Department of Water Resources said it can count on allocating as little as 20 percent of requested water supplies to start, hinting drought fears are far from over in California. California’s Department of Water Resources has made its initial projection of how much water public agencies can count on receiving from the canals and pipelines of the State Water Project next year: 20 percent of their full allotments. It’s only a beginning. But it’s a strong beginning, and it offers at least a rain gauge’s worth of hope to a state enduring its fifth year of drought. California has more than 100 million dead trees in its forests — and no easy way to deal with them. More than 102 million dead trees now litter California’s drought-flayed forests, according to the latest aerial survey, a finding likely to fuel a heated public-lands debate during the incoming Trump administration. President-elect Donald Trump might have trouble living up to one of his more sweeping campaign promises in California. On the stump in Fresno last May, he made headlines for declaring, “There is no drought” here. The number of dead trees in California’s drought-stricken forests has risen dramatically to more than 102 million in what officials described as an unparalleled ecological disaster that heightens the danger of massive wildfires and damaging erosion. 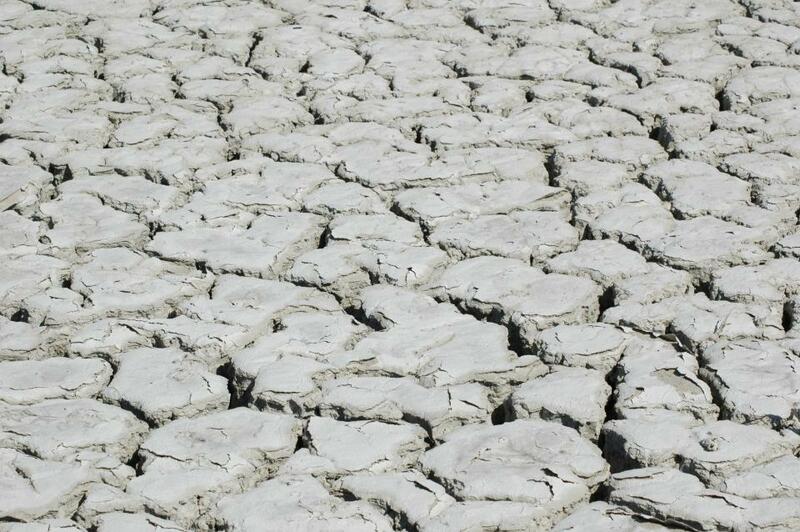 … Scientists say five years of drought are to blame for much of the destruction. Lake Cachuma, a giant reservoir built to hold Santa Barbara County’s drinking water, has all but vanished in California’s historic drought. It reached an all-time low this summer — 7 percent capacity, which left a thick beige watermark that circles the hills framing the lake like an enormous bathtub ring. It’s not just California. The Deep South is reeling from a drought. The Southeastern drought almost challenges the longstanding Western drought, centered in California, as the largest in the nation. Researchers have identified a novel virus found in the brains of Eel River salmon from last year’s strenuous run, but the find is not generating any concerns for fish health this year. How low can the Colorado go? When will we get back to “normal” winters? Can we blame it all on climate change? 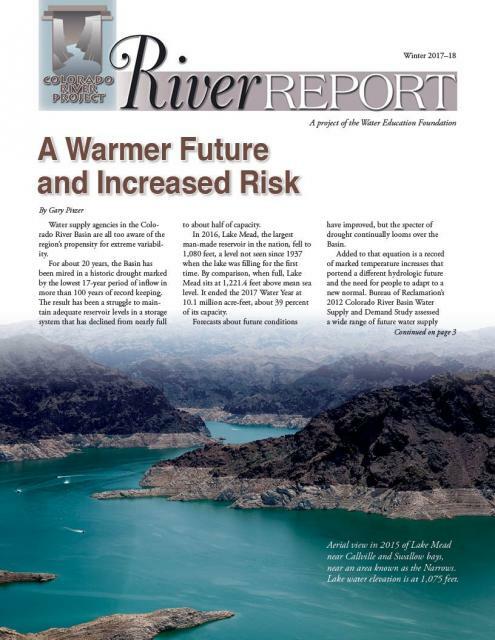 To address some of these questions, the Colorado River Research Group recently released a concise four-page paper explaining how climate change is affecting the river. The drought divide leaves California’s water managers and experts striving to finesse conservation messages for two wildly differing situations in the state. A heavy dousing of autumn rain in Northern California has lifted a quarter of the state out of drought, the highest percentage in more than three years, according to a new federal report. A rainy October in Northern California has lifted about a quarter of the state out of drought conditions, the U.S. Drought Monitor reported Thursday.